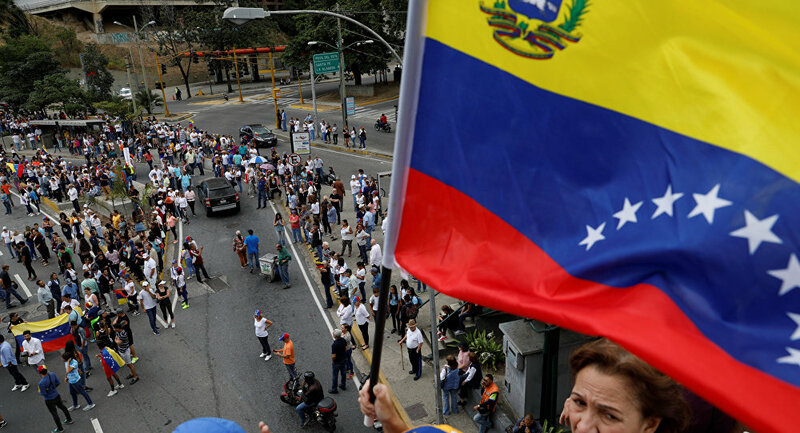 Sputnik discussed the crisis in Venezuela and US actions there with Brett Wilkins, a San Francisco-based author, activist and editor-at-large for US news at Digital Journal. His work focuses on issues of war, peace and human rights. Sputnik: What is the extent of the actual willingness by the US to resort to military intervention in Venezuela? Brett Wilkins: It seems like if it's going to happen, it seems more likely than ever. You have Trump who has threatened repeatedly to attack Venezuela, you have an ominous development with the appointment of neoconservatives such as Elliott Abrams and John Bolton to high positions. If you recall Trump, when he was campaigning, he kind of sounded like he might pursue a different foreign policy, one of less intervention, but when you have people like John Bolton and Elliott Abrams — who has a long track record of intervention in the Americas, from the death squad politics of the 1980s, to countering the Bolivarian Revolution at every step — it looks like an intervention could be more likely than ever. You have the Monroe Doctrine as well, which the US always falls back on as an excuse, and it just seems that with all the scandal with the Trump administration, you could have that as a wildcard: a war always distracts the public attention from scandals like that. You could have a real life wag the dog situation, like we saw in Yugoslavia in the late 1990s. So I think the likelihood is greater now than it's ever been. Sputnik: Other than the Trump administration and some of his, of course, closer circle, do you think that he would find wide approval for this kind of action in Congress — especially after the midterms? Brett Wilkins: Well that's an interesting question, because we do see some of the new Congress people who seem to be staunchly anti-intervention, but sadly, as usual, they seem to be in the minority. Sadly, when situations like this occur, you generally see a bipartisan falling in line behind the president. You will recall that some of the Democrats, for some reason, have a reputation of being less warmongering than the Republicans, but in the 2003 Iraq fiasco, you had Hilary Clinton and just about every one of the Democrats lining up behind that war. And the war in Afghanistan, if you recall, the vote was for 420 to 1 (House of Representatives, 14 Sept 2001) with only Barbara Lee from California, she was the only one out of all the Congress people that voted against that. As far as congressional opposition goes, even as unpopular as Trump maybe, Bush was also quite unpopular, unfortunately, people tend to rally around the flag in this country and the media doesn't help, and public opinion, even when it is anti-war, tends to be ignored. Sputnik: Some people are actually saying that Venezuela could turn into another Libya. Do you think that kind of scenario is possible? Brett Wilkins: It's interesting, because the parallels that could be drawn there, I wouldn't say so much would be concerning the situation on the ground, because even if everything goes to the worst case scenario, you're not going to see the type of civil war and factional infighting that we see in Libya. The parallel that can be drawn, I think, is that both Libya and Venezuela have a lot of oil, both were defiant of the United States, both offered alternatives, successful alternatives to a great degree, on how a society should be run. Both Libya and Venezuela, until recently Venezuela, but the Bolivarian Revolution reduced extreme poverty, it increased literacy, in Libya the people had the highest standard of living in Africa at the time. Both of these alternatives scare the United States, it's an alternative to the corporate capitalism and imperialism and so they tend to be targeted. Sputnik: Now local Venezuelan polls, interestingly enough, show that most Venezuelans oppose foreign intervention in their country. Why do you think that would be ignored by the US? 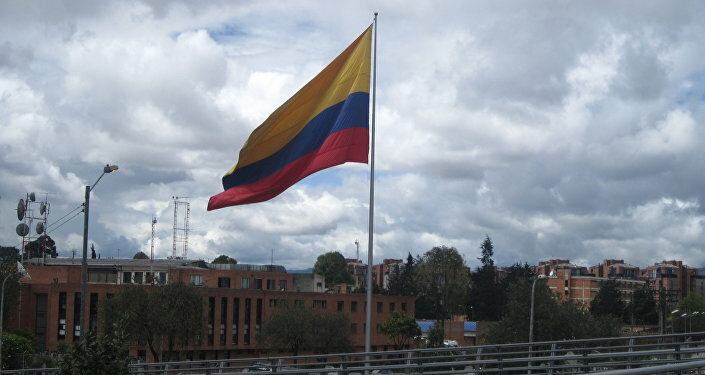 Brett Wilkins: We're talking about a country that supported every single right-wing dictatorship since the end of World War II, that has staged or supported military coups against some democratically elected governments, including Guatemala, Iran, all around the world, and including, let's not forget, in 2002 the Bush administration supported a coup against Hugo Chavez that briefly succeeded for 47 hours; so to ask why the United States government doesn't respect the will of the people, I mean, for all its high-minded talk of democracy, the United States has proven itself inimical to democracy. Importantly, a nation that was born in revolution has become the world's leading counter-revolutionary state and one, by the way which doesn't even heed to the will of its own people; so how can we expect it to respect what the people of Venezuela want. Sputnik: Now we've actually seen a lot of interaction between the US and the self-declared interim president of Venezuela. What most people in Venezuela want, according to the polls, is a dialogue between the national government and the opposition; do you think there's any chance that we're going to see that? 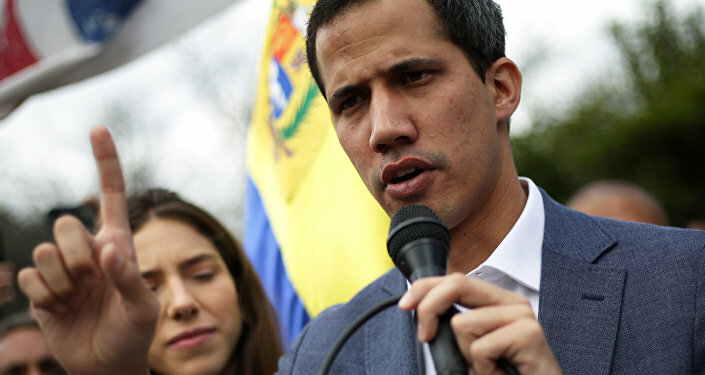 Obviously, it's a very opportunistic moment for Guaido, do you think there's any chance we're going to see some kind of resolution to this, a diplomatic resolution, either internally or externally, with external support or intervention? Brett Wilkins: Well there's always a chance, but when you have Guaido acting like he's already the president of Venezuela, first of all, how can you expect any leader of any country to tolerate a situation in which you have a pretender, a usurper, acting like they're already in charge and having the world's most powerful country — and you see the European countries are capitulating [and] getting on their knees before the United States by giving this ultimatum that you can't expect Maduro to comply with either; so between the internal forces and the external forces, it seems like everything is working against a dialogue, a peaceful situation. If you recall, back in the winter of 2002, early 2003 before the Iraq invasion, you had a definite sense that the wheels were in motion, also in 1991 during Operation Desert Shield. Even though there was talk of trying to resolve something peacefully, you could see that once the wheels of imperialism are in motion, it's not too late for that, because troops haven't been mobilized despite that "5,000 troops to Columbia" scribbling on John Bolton's notepad, you don't really see that there is an inexorable movement towards war yet. Until you see that, there's always a chance, but I just don't see how with Guaido being so aggressive, with the United States' stance being what it is, and with Maduro just been under siege the way he is, I just don't see that. He could help himself a little bit more, I'm not saying that Maduro is perfect, but the forces that are lined up against him, it just seems it's not going to end in a peaceful manner. But there still a chance to salvage this process. The views expressed in this article are solely those of Brett Wilkins and do not necessarily reflect the official position of Sputnik.